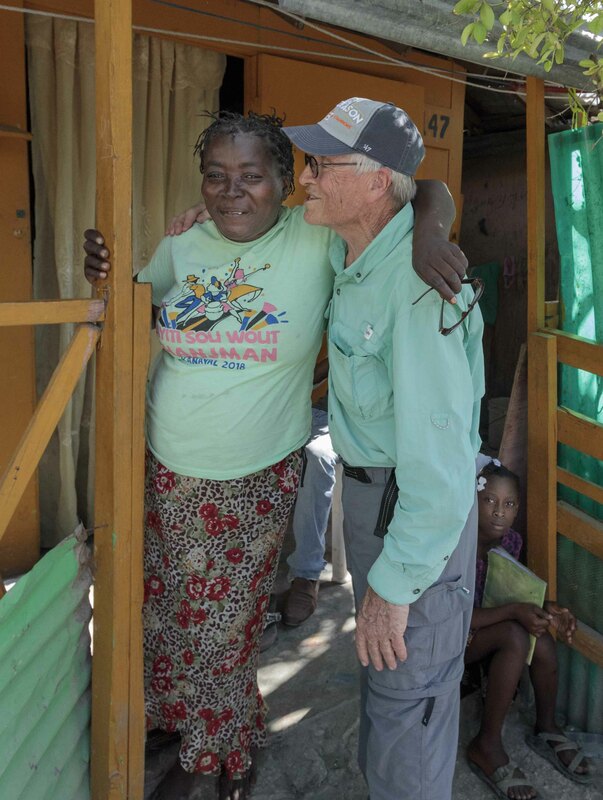 Pure Water for the World board member, Paul Sofka, recently made a visit to Haiti, where he returned to the community he holds so dearly in his heart, Cité Soleil. While there, Paul was able to visit with many families for whom he has played a significant role in helping to bring safe drinking water. They told him their stories of vastly improved health and general wellbeing. They offered heartfelt gratitude. 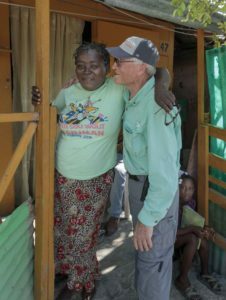 Following the 2010 earthquake, Paul visited Haiti for the first time, spending three weeks alongside his son, working to provide disaster relief. It was during this visit that the Haitian people made their way into his heart and a commitment to do what he can to make a difference in their lives was born. In 2012, Paul became involved with Pure Water for the World, and, since that time, he has invested his time, talent, and treasure in bringing safe water solutions to families living in Cité Soleil, the most impoverished slum in the Western Hemisphere. The following video shares a little more about Cité Soleil, including Paul’s interview with Rolande Roman, a resident of the community who is a beneficiary of PWW’s safe water and hygiene program and a PWW volunteer community agent. Paul is joining with others to create measurable change. Thanks to his committed fundraising efforts, in combination with additional supporters and fundraisers, PWW has implemented safe drinking water programs in 1,160 homes in Cité Soleil over the past three years. With this remarkable effort, almost 7,000 people (a majority of whom are children) are now protected from debilitating and deadly waterborne illnesses. Witnessing this impact, Paul continues his quest to improve the health and future of more families. Paul has a goal to raise $60,000 by May 30, 2018. To help him achieve this goal, several of his colleagues and friends have come together to offer a $30,000 matching gift. Every dollar given through May 30th will be matched 100% (up to $30,000) and make TWICE the impact! We invite you to join Paul and friends, double your impact, and improve the lives of children and families living in Cité Soleil. Your donation isn’t just a gift. It’s a long-term investment in the lives of these children and families. With sustainable access to safe water, a child can go to school and achieve an education, opening new doors to the future. Parents can work, put more food on the table, and care for families. The health and wellbeing of children and families improves dramatically because of access to this basic human necessity. Paul has witnessed this impact, firsthand, and invites you to be a part of supporting lasting change. To make a donation to the Cite Soleil project, click here. To participate in the matching donation, indicate “CS-2018” in the comment section. PWW Travelers Beneficiary Stories, Haiti, Hygiene education, PWW Travelers, PWW Trips, PWW Volunteers, safe water, Travel for Good, WASH Success Stories, women. permalink.